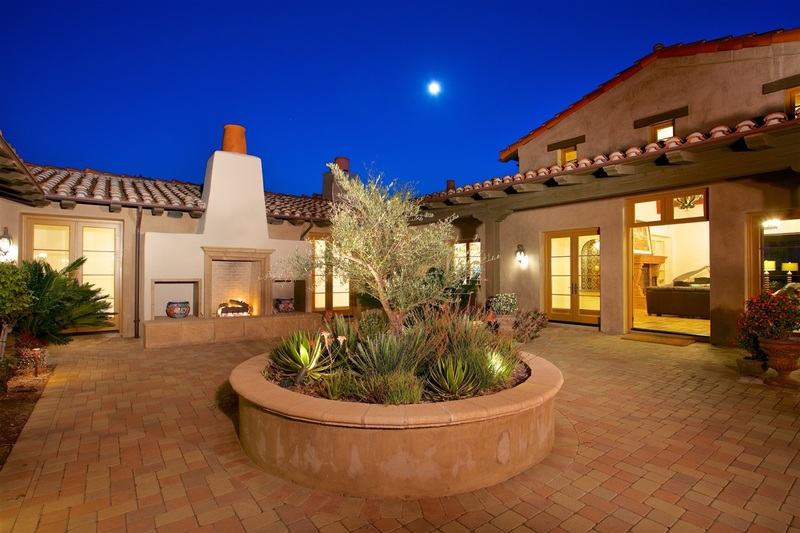 The Rancho Santa Fe area is known for beautiful weather and communities that make the most of nearly endless sunshine. 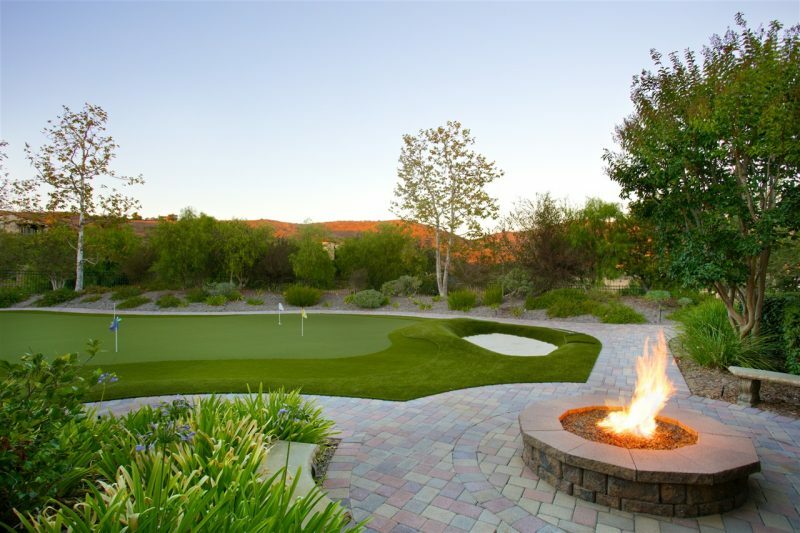 Santaluz is located adjacent to Fairbanks Ranch and Rancho Santa Fe and is a 3,800 acre community designed with an eye toward creating an “Early California” setting with all the latest amenities. The Santaluz Club is heart of this village where highest knolls offer panoramic views of the coast and it includes a clubhouse, restaurant, fitness center, and more. Designed with the active club member in mind, The Santaluz Club hosts holiday celebrations, wine dinners, musical performances, and receptions throughout the year to allow opportunities for members to enjoy catching up with friends and making new ones. Camp Santaluz offers children’s activities all year long with summer camps, movie nights and special interest events for all ages. 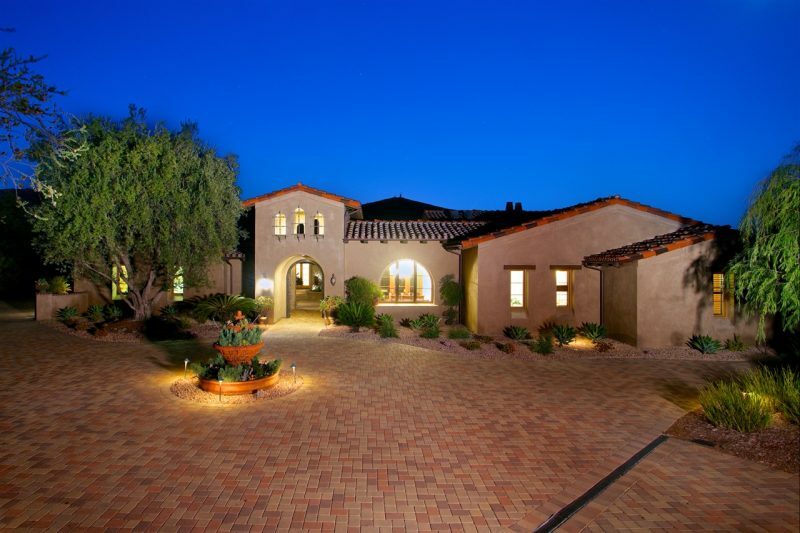 This five-bedroom Santaluz home features the traditional Spanish architecture the community is known for and is on a two-acre, drought-tolerant landscaped lot with artificial turf for play and a designated area for working on your golf short game. The backyard is engineered for enjoyment with a pool, waterfall, BBQ island, outdoor cabana, 1,800 sq ft courtyard, and multiple loggia areas for dining and entertaining. The interior is light and open with high wood-beamed ceilings, iron chandeliers and massive fireplaces. In the master suite, wood floors, wood beams, and clerestory windows provide an appealing interplay of light and dark while offering easy access to the outdoors. The ultimate home office includes a fireplace, built-in bookcases and wide glass doors through which the fire pit and golf practice area can be viewed just a few tempting feet away. 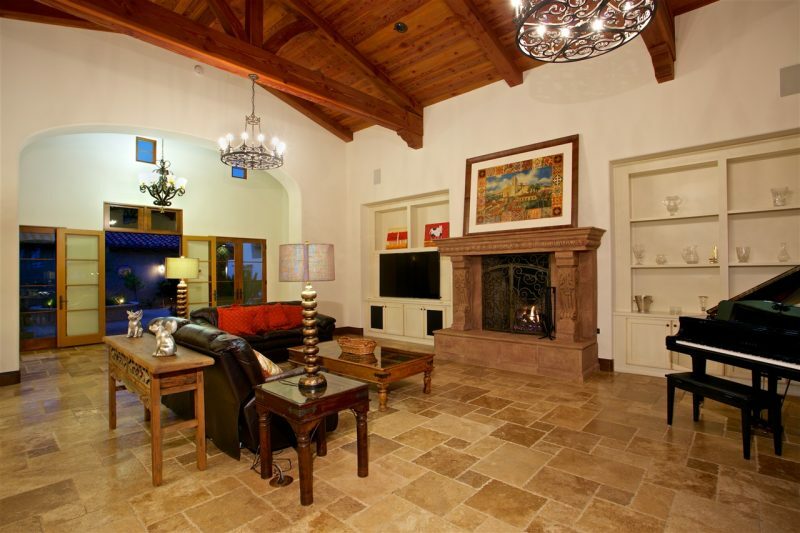 This property is listed for $3.65 million by Willis Allen Real Estate and showcased on Luxury Portfolio.